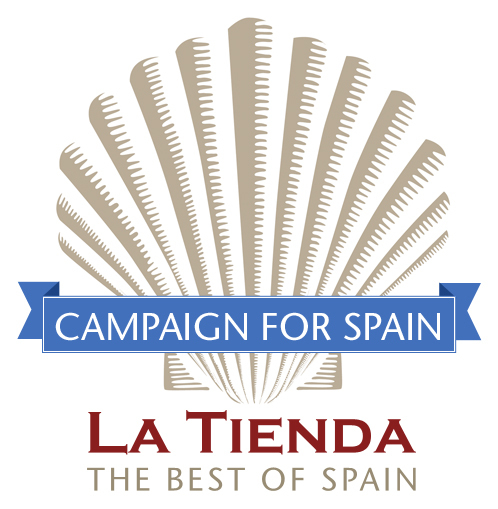 LaTienda.com raises over $50,000 for the Spanish Federation of Food Banks in the midst of Spain's economic crisis. Even more than the funds raised, we've been reminded of the unbelievable capacity of Americans to help those in need, even while they are also facing hardships at home. In November 2012, LaTienda.com launched the Campaign for Spain to support the Spanish Federation of Food Banks (FESBAL). With Spain suffering through its worst social and economic crisis in at least a generation, and unemployment at over 25%, La Tienda found itself in a unique position to help. La Tienda raised funds, and matched dollar for dollar, donations given on the website. The holiday campaign raised funds in excess of $25,000 and La Tienda has matched that amount, resulting in a total donation of $50,000. La Tienda was honored when Actress, Penelope Cruz, a native of Madrid, joined in the launch of the Campaign. Midway through the initiative, La Tienda was delighted to welcome the participation of Annie Sibboney, host of the series, From Spain With Love. Both Ms. Cruz and Ms. Sibboney added much momentum to the reach of the Campaign. “When we launched the campaign, we all sat and waited for the first Facebook responses to come in, our eyes glued to the monitors and iPhone screens. Our community of Spain enthusiasts rallied and our website donations began to flow immediately, quickly raising $10,000 in just over a week. School groups pledged to help our efforts, business partners committed to donate. We've been inspired by how many have joined us in our little campaign,” noted Harris. The Campaign for Spain concluded on January 31st, 2013. Visitors to the site donated directly to the Campaign for Spain, no purchase was necessary. Additionally, new and current customers were given the opportunity to donate as they checked out online or called in to the company’s call center by adding a few dollars to their order. 100% of the money raised goes to FESBAL. There were no administrative fees taken by La Tienda. La Tienda CEO, Tim Harris will present the $50,000 check to FESBAL in February of 2013. Established in 1996, FESBAL coordinates the efforts and activities of fifty-four localized food banks across all of Spain. FESBAL manages relationships with central government agencies, international organizations and other non-profit organizations and companies that provide food assistance. "We are delighted to partner with La Tienda and the Harris family on the Campaign for Spain,” said José Antonio Busto Villa, President of FESBAL. "This thoughtful initiative will bring significant assistance to those families most in need." Since its inception, La Tienda has supported local food banks in Virginia and continues to do so. In addition, La Tienda donates annually to a variety of charitable organizations in support of the Williamsburg community. “We are so pleased that the ‘Campaign for Spain’ has been an equally successful international effort and we are so grateful to everyone for their generosity and kindness,” added Harris. Founded in 1996 by the Harris family, La Tienda is the leading online retailer of Spanish gourmet food, offering over 800 authentic products. Family-owned and managed, the business is dedicated to working with artisan and small family businesses in Spain. La Tienda is headquartered in Williamsburg, Virginia, with its Spanish operation based outside of San Sebastian, Spain. Warehouses in Virginia and Alicante, Spain, ship throughout the United States, Puerto Rico, Canada, Europe and the UK. La Tienda shipped to over 100,000 customers in 2012, including restaurants and renowned chefs. Its first retail store opened in Williamsburg, VA in November of 2009.